A Puppy at My Age? Many of our group will be writing about pets this month. I have featured dogs in each of my three novels because having a dog is a quality of life issue. 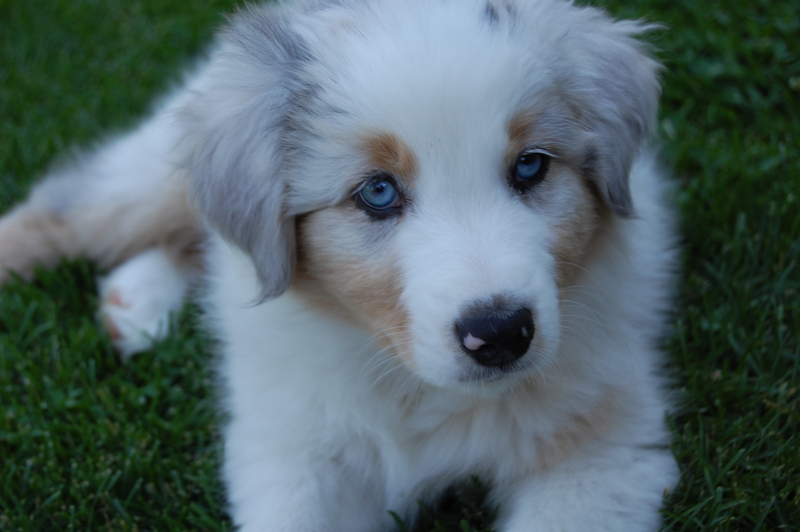 Meet Boone to the Bone, our new Aussie. Who wouldn’t love this face? We sure do, and it’s a good thing, too. In the 25 years since we last had a puppy, a woman can forget their lightning speed and curiosity, not to mention needle puppy teeth. My thin-skinned arms look like I’ve been in a knife fight. He could live 15 years. We did the math. Holy cow! He will keep us moving throughout the rest of his and our lives. This entry was tagged Aussie, dog. Bookmark the permalink. He is so cute!. Those blue eyes –who wouldn’t fall for them?